Thankfully the fourth movie on our list has nothing to do with the 1982 stinker Halloween III: Season of the Witch! 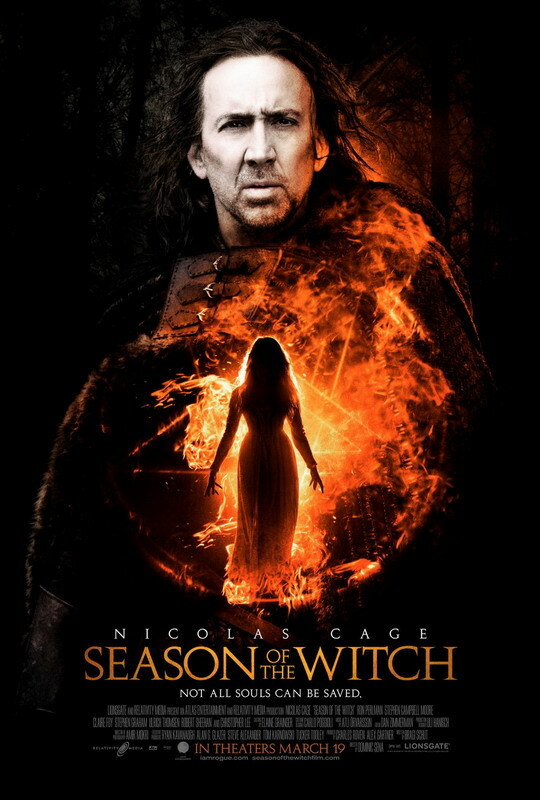 This Season of the Witch stars Nicolas Cage as a 14th century Knight, escorting a witch who may be the cause of the Plague! Of course many call this Season of the Witch a bigger stinker than the other. This one only gets 10% on Rotten Tomatoes. Pretty harsh! Nicolas Cage is a knight tasked with delivering a woman, believed to be a witch to a monastery. The catch, this witch may be the cause of the Black Plague! Cage seems a little uninspired throughout the movie. But really what movie does Cage seem inspired in? I can’t think of any, must be his acting style… It’s a little cheesy, a little campy, like all good horror movies.